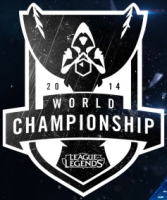 The 4 teams in Group A of the Groupstage at the LoL World Championship 2014 are: Dark Passage, AHQ eSports Club, Samsung, Galaxy White and Edward Gaming. LoL Worlds Group A therefore brings together teams from GPL, LPL, OGN and Russian Wildcard Winner Dark Passage who won the International Wildcard tournament during Gamescom 2014. The top 2 teams after the 2x round robin advance to the Playoffs of the tournament. In this group, the best contender to get through Group Stage is Samsung White and Edward Gaming. There is not a lot of information known from Dark Passage but with AHQ, they had a hard time beating TPA from the finals of the GPL let alone beat the top teams from two of the top regions. AHQ and Dark Passage need to play a lot harder than they used to if they want to get out of Group Stage with Edward Gaming and White forming a barricade.